A-HOTEL.com - Luxury and cheap accommodation in New Delhi, India. 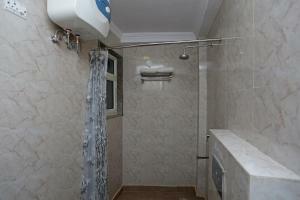 Prices and hotel, apartment booking in New Delhi and surrounding. This indicative offer was derived from the most recently booked accommodation in New Delhi and sort by the price, from cheapest New Delhi accommodation to the most expensive hotels. To select accommodation by your preferences we recommend to choose from 1 620 accommodation offers in New Delhi in total. By entering the dates of your overnight stay in New Delhi and using the filter tools you can sort the best possible accommodation for you. The entered dates of your stay are crucial for the most accurate offer as it derives all the online information on pricing and availability of New Delhi accommodation. Then you can book the selected New Delhi lodging (hotels, apartments etc.) immediately. Providing free WiFi, The Orion Plaza is set in New Delhi, within 1.7 km of Lotus Temple. Featuring 4 dining options, an outdoor swimming pool and a spa and wellness centre, Sheraton New Delhi Hotel is located in Saket. Each room here will provide you with air conditioning and a minibar. Set within 10 km of Qutub Minar in New Delhi, Airport Star features a terrace and a shared lounge, as well as free WiFi. Located around 15 km from Gurudwara Bangla Sahib, the hotel is also 15 km away from Gandhi Smriti. Providing free WiFi, Airport Hotel Green Heights is situated in New Delhi. Offering a garden, the property is located within 16 km of Qutub Minar. Set 10 km from Qutub Minar, Hotel Edission View features accommodation with free WiFi in New Delhi. All rooms feature a flat-screen TV with satellite channels and a private bathroom. Set within less than 1 km of Humayun's Tomb in New Delhi, GG Bed And Breakfast offers accommodation with free WiFi. All units feature air conditioning and a TV. Situated in New Delhi, The Grand Vikalp is 2 km from Lotus Temple, which features architecture in the shape of a lotus. It offers 24-hour room service and complimentary private parking. Hilton Garden Inn Saket is located in DLF Place Mall in Saket, South Delhi. 5 km from Nehru Place and 9 km from Okhla. Set in New Delhi, 8.5 km from the Indira Gandhi International airport, Hyatt Regency Delhi features an outdoor swimming pool, a fitness centre and free WiFi. Located 1 km from New Delhi's City Centre and Business District, Hotel Imperial offers an outdoor pool and health club. Guests can enjoy spa services and 7 dining options. Situated in New Delhi, 10 km from Qutub Minar, Hotel Airport Square has a fitness centre, a garden and a terrace, as well as free WiFi. This 3-star hotel offers a 24-hour front desk. Set in New Delhi, Hotel Sky is 10 km from Qutub Minar and offers various facilities, such as a terrace and a shared lounge. The property is around 15 km from Gurudwara Bangla Sahib, 15 km from Gandhi Smriti and 15 km from Rashtrapati Bhavan. The recently refurbished Shangri – La’s – Eros Hotel, New Delhi offers 5 dining options and an outdoor swimming pool. India Gate is 2. Overlooking Delhi's Golf Club and situated in Central Delhi, newly renovated The Oberoi, New Delhi is 16 km from the Indira Gandhi International Airport. The property features a heated indoor and outdoor pool and spa & wellness centre. Located in New Delhi, Airport Hotel Westend Residency is 17 km from Qutub Minar and offers various facilities, such as a terrace. The property is situated 18 km from Rashtrapati Bhavan. Bloomrooms @ Janpath is set in New Delhi, 1.4 km from Jantar Mantar. Featuring a terrace and free WiFi, Hotel Viva Palace is situated in New Delhi. Located in the Mahipalpur district, the property provides guests with access to a restaurant.